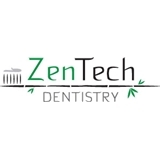 ZenTech Dentistry (West Linn) - Book Appointment Online! Dr. Frank Sioda graduated from OHSU School of Dentistry in 1990. During his time spent in private practice since graduating, he has completed an additional internship in Prosthodontics/Dental Implants from Prosthodontics Intermedica in Fort Washington, Pennsylvania, hands-on training in Cosmetic Dentistry from Dr David Baird and Northwest Esthetics in Bellevue, Washington and in depth studies in Cad/Cam technology for ceramic reconstruction from the Scottsdale Center of Dentistry in Scottsdale, Arizona. Dr. Sioda has always had a passion for dentistry his entire life and truly enjoys providing his patients with exceptional comprehensive dental care. His life outside of the dental office includes completing numerous century bike rides, snow skiing, scuba diving, and flying in single engine land and sea planes. Awesome service from the staff (Charlie) and Dr. Sioda. The technology that they have is amazing and the attention to detail was impressive.